Search currently available listings and discover your perfect place. Explore featured properties to find your dream home. Get the tools and information you need to make the right decision. Research and ensure your next move is the right one. 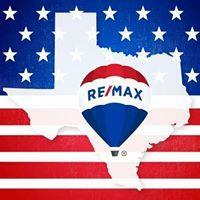 Looking to buy a house in Baytown, TX? You’re in the right place! Just east of Houston, Baytown has a variety of recreational opportunities, multiple schools, and a low crime rate. While you may think Baytown is the perfect place to move, you may be intimidated by the homebuying process. However, purchasing a home doesn’t need to be complicated. Here at Homes.com, we make buying a home simple and satisfying. Finding the perfect place to settle down in Baytown, TX has never been easier. There are quality schools for all families in Baytown. The Goose Creek Consolidated Independent School District provides Baytown with 14 elementary schools, 5 junior high schools, and 3 high schools. There are also alternative education centers and a career center. There are also several private schools in the area. Lee College is a community college that serves West Chambers County and East Harris County. Take a visit to Baytown Nature Center, a gorgeous wildlife sanctuary and recreation area. It’s located right on the Houston Ship Channel, which is surrounded by the Scott bay, Crystal Bay, and Burnet Bay. Here, you’ll encounter hundreds of species of birds, reptiles, mammals, and aquatic animals. You can enjoy the San Jacinto Mall featuring popular stores, a food court, and movie theater. There’s also a Baytown Symphony Orchestra that performs multiple concerts throughout the year at Lee College. You can feel at ease buying a new home in Baytown, TX. The violent crime rate is 0.5 percent, compared to 1.03 percent for all of Harris County. The property crime rate is only 4.6 percent in comparison to 5.45 percent in Harris County. Baytown is conveniently located in the Gulf Coast area of Texas within Harris County and Chambers County. As part of the larger Houston–The Woodlands–Sugar Land area, you’ll never run out of things to do and see. It’s the sixth largest city in the metropolitan area with an estimated population of 85,000. When you move here, you’ll find yourself in a central location with easy access to virtually anything you need. If you’ve been looking for the right community to raise your family or run your business, there’s no better place to buy a home than Baytown, TX. You’ll benefit from the family-friendly activities, schooling opportunities, and convenient location. Find your perfect Baytown home with the help of Homes.com.